Tony Nicklinson's wife Jane wipes away his tears as he reacts to a judge's decision last week not to allow him to ask a doctor to end his life. 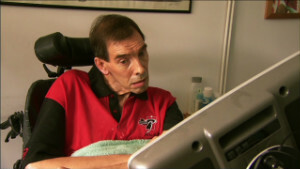 London (CNN) -- A British man suffering from "locked-in syndrome" who fought a long legal battle over assisted suicide has died, his lawyer said Wednesday. Tony Nicklinson, 58, died of natural causes, according to a brief statement on his Twitter account. "Before he died, he asked us to tweet: 'Goodbye world the time has come, I had some fun,'" his account said. 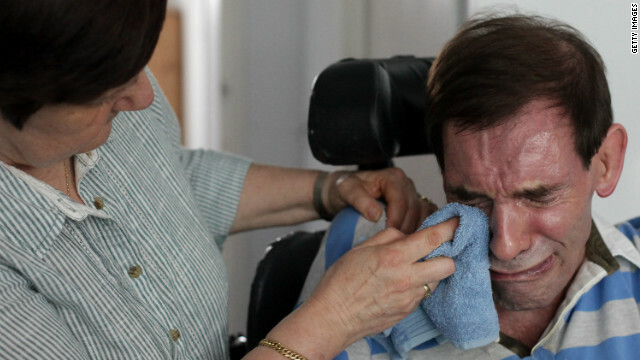 Fighting for the right to die? 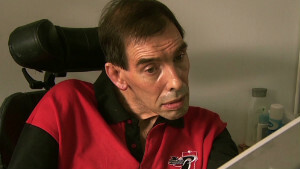 Nicklinson was left paralyzed from the neck down by a catastrophic stroke seven years ago, and lost a High Court battle last week to gain a legal right to end his life when he chooses. His condition meant it is impossible for him to take his own life -- and he wanted the legal right to have a doctor take his life without fear of prosecution. But while expressing sympathy for his situation, the High Court ruled Thursday that such a significant change to the law -- involving overturning the ban on voluntary euthanasia -- would have to be decided by lawmakers. CNN's Laura Smith-Spark and Sarah Chiplin contributed to this report.